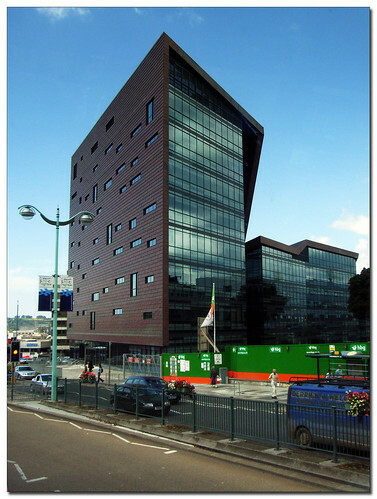 The Roland Levinsky Building is the new arts complex at the University of Plymouth, designed by internationally acclaimed architects, Henning Larsen with Building Design Partnership. 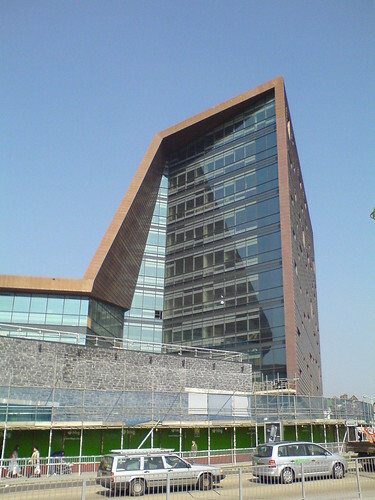 Construction of the building began in 2004 and was completed on schedule in early August 2007. 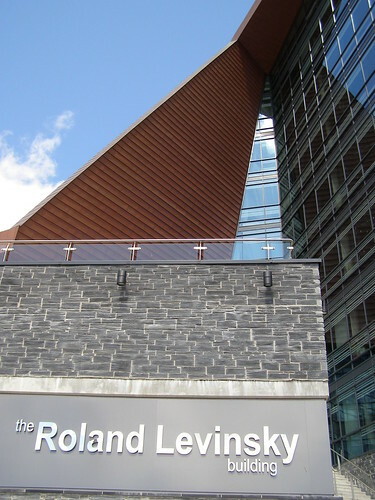 The brief for the Roland Levinsky Building called for a building which would give iconic status to the university and city and prove an inspiring and graphic symbol of the artistic and economic regeneration of the city and region. 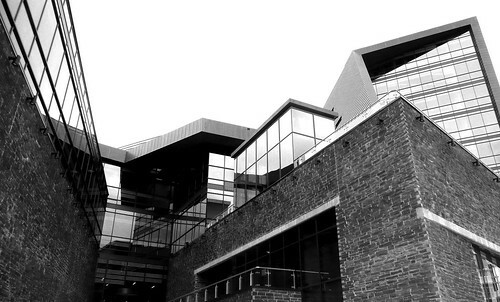 A protest has taken place at the University of Plymouth's new Roland Levinsky building after students claimed it was 'unsuitable for their work'. 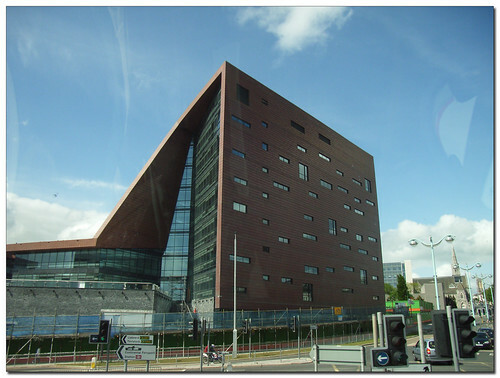 The university said there had been 'teething troubles' at the Roland Levinsky building - which won two honours in last week's Abercrombie Design Awards - but said these were not connected with the ventilation. Plymography has some fantastic shots here, and here and explore as he has lots to see. 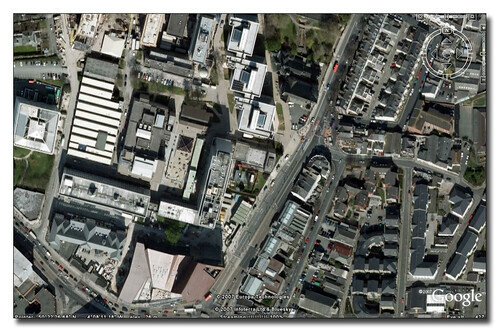 Google Earth view of the whole site.